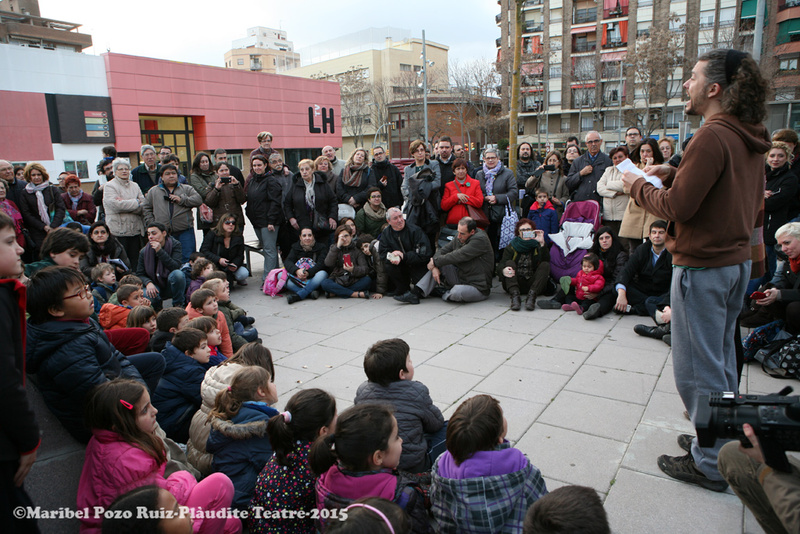 Archive by category "World Theatre Day"
It’s been six years now that we celebrate the WTD at L’Hospitalet de Llobregat, Barcelona. Each year we find a theatrical and symbolic place to perform and read the WTD Manifesto. This year we celebrate also the centenary of the birth of Joan Brossa, Catalan visual artist and playwright. At 18,30 pm we will depart from Plàudite Teatre – Performing Arts School, with a theatrical parade (students, families, friends, neighbors, and so on), all together accompanied with a musical band (New Orleans style called Xarangarin), until we reach the Joan Brossa’s “Visual Poem sculpture”. Then, we will read the Carlos Celdrán WTD 2019 Manifesto, and a few actors and actresses will performs a sort theatrical action. 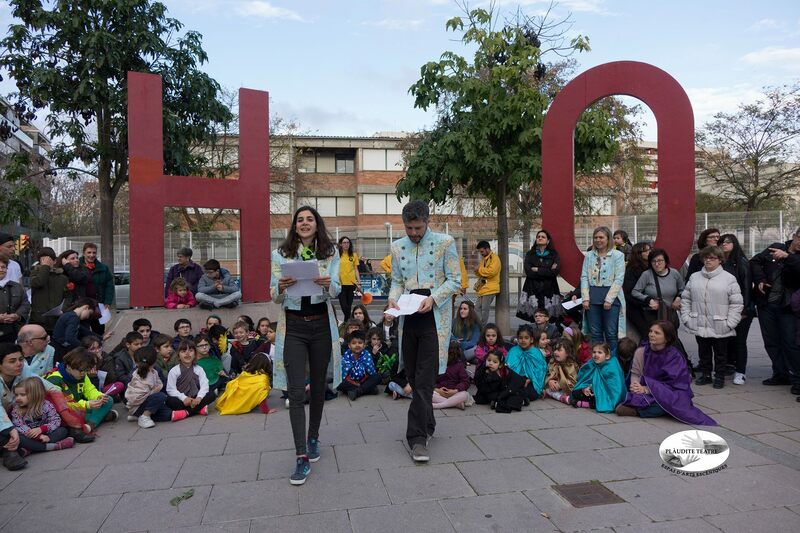 A couple or acrobats will jump between Joan Brossa’s sculpture letters to interact with his “Visual Poem” that plays with the letters of the Alphabet and the name of the city: Hospitalet. We finishing back to our Performing Arts Centre with a theatrical, acrobatic and musical parade. El Dia Mundial del Teatre es celebra el 27 de març, creat per l’Institut Internacional del Teatre l’any 1961. D’ençà una personalitat rellevant a nivell internacional és convidada a fer una reflexió sobre el tema del “Teatre i una Cultura de Pau”. El primer missatge el va escriure l’artista francès multidisciplinari (poeta, novel·lista, dissenyador, cineasta i dramaturg) Jean Cocteau l’any 1962, el dia de l’obertura del “Teatre des Nations” a París. Enguany l’encarregada serà l’actriu francesa Isabelle Huppert.